As holiday shopping ramps up, so do the dizzying varieties of plastic packaging tossed in recycling bins. And while we wish a Christmas miracle would transform this old garbage into something new, the reality is the waste left over from the holiday shopping frenzy is more likely than ever to end up in a landfill or incinerator. Until January of this year, the United States and other Western countries were foisting their low-value plastic waste on to China, with little concern for the environmental degradation this caused. To protect its citizens from the burden of foreign pollution, in the beginning of this year, China refused to be the world’s dumping ground and effectively closed its doors to plastic waste imports. China’s new National Sword policy of refusing foreign waste has brought a long-overdue moment of reckoning for the recycling industry, and by proxy, for manufacturers. It’s clear recycling alone cannot come close to addressing the ballooning amounts of plastic waste piling up all over the country. Even before China’s waste ban took effect,only 9% of plastic in the US was actually recycled. No matter how diligently Americans sort their plastic waste, there is just too much of it for the US, or any other country, to handle. On the bright side, the ban sparked a much needed conversation about improving domestic recycling infrastructure and recycling markets, and has forced both companies and the public to re-evaluate the products and packaging that were previously assumed to be recyclable. But the ban has also been used as a wrongful justification for burning trash in incinerators. Waste incinerators became popular in the US in the late 80s, until harmful emissions of mercury and dioxins, toxic ash, technical failures, and prohibitive costs soured the public on the industry. However, there are still more than 70 relics left over from that failed experiment which continue to pollute surrounding communities and drain city coffers. One of the most notorious cases is in Detroit. The city’s incinerator, perversely named Detroit Renewable Power, exceeded emissions limits more than 750 times over the last five years, contributing to one of the highest rates of asthma in the country. Not only is the incinerator criminally polluting, it cost the city nearly $1.2bn in debt. According to US Energy Information Administration data, incinerators are the most expensive way to produce energy — costing twice that of nuclear and solar and three times the cost of wind. In some cases, recent incineration schemes are even disguised as recycling programs. For example, the city of Boise, Idaho, which was rocked by China’s waste ban, is directing residents to “recycle” their plastic by putting it in a special orange bag called the Hefty Energy Bag. The plastic is then melted to make fossil fuels to burn. This method, called pyrolysis, or “plastic-to-fuel”, is being pushed by the American Chemistry Council, Dow Chemical, Unilever, and others who are invested in continuing the status quo of churning out massive amounts of single-use plastic. Not only is this form of incineration the opposite of recycling, it gives people a false sense of security that single-use plastic is acceptable to continue making and using. 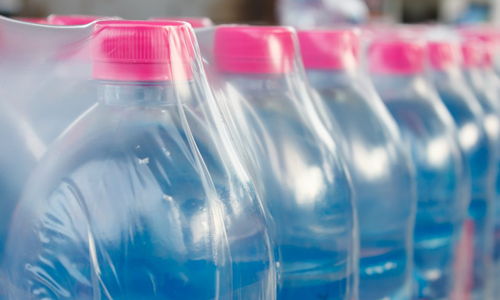 Instead of coming up with increasingly complicated and expensive ways to deal with plastic waste, why not focus on preventing it from being made in such large quantities in the first place? We simply need less plastic in the world.